Jurgen Klopp says Liverpool will need to be wary of Porto’s threat on Tuesday night but the Anfield crowd could play a major part in the tie. The Reds face the Portuguese champions at Anfield for the first leg of their Champions League quarter-final tie. Porto are familiar opponents for Klopp’s side, having beaten them 5-0 to progress from the last-16 of last year’s competition. Whilst Porto were seen as a favourable draw, the boss is aware that Porto will be keen to make amends for their performance last year and get revenge on Liverpool this time around. Whilst Klopp is adamant that Porto will be a huge test for his side, he insists that the home crowd’s passion could help Liverpool over the line. “Of course, it was only last season that Porto visited, so I’m sure all our visitors from Portugal will be re-acquainting themselves with the wonderful city of Liverpool,” he said in Liverpool’s official programme. “I heard last time they were the perfect visitors and I’m sure they will bring joy into Merseyside again as they see what this area has to offer. “Sergio [Conceicao] continues to do an incredible job at Porto and like ourselves they are locked in a fascinating domestic title race against a very competitive opponent. We know from experience how difficult Roma are to progress against in the Champions League, so we only need to look at their last round to see their power and threat. “I think the fact we met last season doesn’t affect much for this game because everything is new and fresh. They are better, but then so are we. “As a coach and a sportsperson I would guess the only real factor of influence would be greater motivation for Porto. Motivation actually isn’t the right word – because this is the quarter-finals of the best club football competition in the world, so all remaining eight teams have maximum motivation already. “Maybe opportunity is the right term. Facing us 12 months on gives them the opportunity to strike back, which in this competition you don’t always get in the immediate season or seasons that follow. So we will be aware that Porto will have the maximum motivation plus extra and we know that makes an already outstanding football team even better. “The good news for us is that we too are very focused and motivated and greedy to stay in this competition for as long as we possibly can. I think it makes for a great contest. “I’ve mentioned before that the supporters were a key factor in our win against Spurs and there is no doubt we need them all at their best for this game. Our fans are knowledgeable and will know Porto have experience and quality in abundance and that Anfield needs to be on its toes for the entire 90 minutes to give us that added energy that can be our X-factor. “I heard, after the Spurs game, the phrase that the Kop ‘sucked the ball over the line’… There isn’t really a German translation for this but I know the sentiment is based on willing the goal. I love this – really love this. 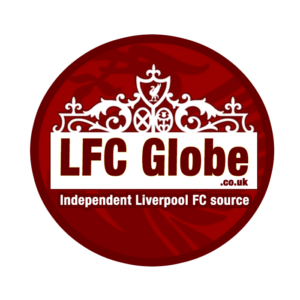 Liverpool vs Porto kicks off at 8pm on Tuesday night and you can keep up with all the drama from Anfield via LFC Globe’s live match-day coverage.